Notice! Club Hotel Syedra Princess does not accept reservations at this time. Please try again later. 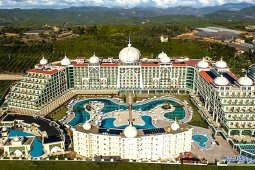 Club Hotel Syedra Princess Contact. Situated by the Mediterranean shores, Club Hotel Syedra Princess, offers a private beach area with sun loungers, outdoor pool and a spa centre with a sauna and a Turkish bath. Free Wi-Fi is accessible in public areas. The bright rooms of Syedra Princess are tastefully decorated to create a warm setting. They all include a TV with satellite channels, minibar and a balcony. Breakfast, lunch and dinner are served in buffet style at the restaurant. You can enjoy unique tastes of Turkish cuisine as well as international dishes. The bars offer snacks and drinks throughout the day. Club Hotel Syedra Princess has a well-equipped fitness centre looking out to the garden. You can also enjoy the indoor pool, Turkish bath and sauna. A night club and a children’s playground are available. Alanya town centre is within 10 km. 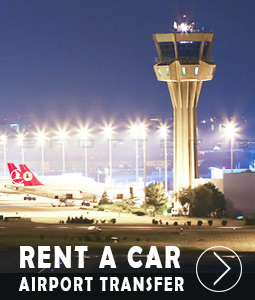 Antalya Airport is 135 km from Syedra Princess Hotel. Groups : When booking more than 5 rooms, different policies and additional supplements may apply. Cancellation/ prepayment : Cancellation and refunds policies may vary by room type. Club Hotel Syedra Princess accepts VISA and reserves the right to temporarily hold an amount prior to arrival. Club Hotel Syedra Princess accepts Master Card and reserves the right to temporarily hold an amount prior to arrival. Club Hotel Syedra Princess accepts Maestro and reserves the right to temporarily hold an amount prior to arrival. Club Hotel Syedra Princess accepts Bank card and reserves the right to temporarily hold an amount prior to arrival. Club Hotel Syedra Princess accepts ATM card and reserves the right to temporarily hold an amount prior to arrival. Please hover over the cards icon for more info. Free buffet meals in the morning, lunch and dinner. The brands that the facility has identified are free of charge between 10.00-23.00 local alcoholic and non-alcoholic drinks. Alcoholic beverages are free between 07.00-23.00. Free internet in common areas. Children of all ages are accepted as guests. The entrance to the Club Hotel Syedra Princess rooms starts at 14:00. The departure time from the rooms is no later than 12.00. Tesise pet is not accepted. The use of open space that serves as a test is dependent on seasonal conditions. 2 + 2 or 3 + 1 accomodations in rooms other than family rooms or some private rooms may cause congestion in the room and the extra beds provided may not be comfortable with the fixed bed. All-inclusive accommodation on a certified basis starts with dinner, includes dinner until the number of nights stayed, and ends with lunch on the day of departure. If the accommodation room is a special type of room such as a family room or a suite room, if any of the guests staying at the hotel leave prematurely, the fee is not made. Да, нет ничего идеального в мире,но Syedra Princess довольно таки не плохое место для отдыха. Из крутого это ихняя кухня. Еды много и все включено в отдых. На баре,пиво,вино,соки, что пожелаете. Из недостатков для меня это плохой интернет,но он даже есть на пляже. Когда работает). Это проблема наверное больше не самого отеля,а она повсеместна. Номера в порядке,но не идельные,чуть поюзаные. Но это 4 звезды,ожидать большего и не стоит. All hotel and accommodation facilities mentioned in this website are published for information purposes. No reservations or pre-bookings are made on our website. Menatur.com aims to make it safer for the users by offering better and more detailed research before the holidays. Have a lot more knowledge about the facility where you think about going on vacation.